Love Miles? How to Pick a Credit Card That’s Right for You! There are plenty of travel rewards credit cards out there for frequent flyers who love earning airline miles. While there are plenty of deals out there, the best airline miles credit card is different for each individual. When finding which card is best for you, consider the following: Are you loyal to a particular airline each time you fly? Do you spend enough on flights to justify a hefty annual fee? 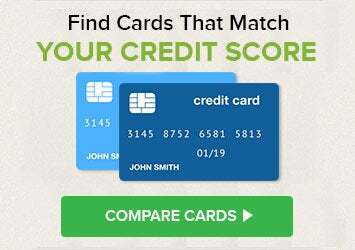 Does your credit score meet the qualifications for the card? Here are some of our top picks for credit cards that can help you earn miles and travel rewards. There are two types of credit cards that offer miles. The traditional kind are those co-branded with an airline and offer miles in their program. Miles earned are tied to the co-branded airline, encouraging brand loyalty. The rewards these cards offer are only as strong as the frequent-flier program they are attached to, so it’s important to understand exactly how easy it is to use the miles before you earn them. Traditional airline credit cards can also offer benefits such as free checked bags, credit toward elite status and discounts on in-flight purchases. The other type of credit cards that offer airline miles are those offering points that can later be transferred to miles in one of several different programs. This card may be preferable if you wish to redeem your miles with more than one airline. Which Type of Card Should You Pick? If you are loyal to a single airline and want to earn the most possible miles with that carrier, you will probably want a traditional airline mileage credit card. This can also be a good choice for infrequent travelers looking for additional benefits on one carrier. If you want to avoid being exclusively tied to the terms of a single frequent-flier program, consider a card offering points that you can transfer to multiple airlines. Before embarking on the journey of finding the right airline miles credit card for you, check your credit. Generally, you need a good score to qualify for some of these rewards cards’ benefits. You can view two of your credit scores for free on Credit.com. As you’re searching for the perfect card, make sure to read the terms and conditions of the card’s agreement so you know what you’re signing up for. With that in mind, here are our picks for the best airline miles credit cards based on rewards value, annual fee, interest rates and more. We’ve broken the picks into two categories: Co-branded airline-specific credit cards and general purpose travel rewards credit cards offering miles that can be used at various partner carriers. Why We Picked It: This card offers six points per dollar for JetBlue purchases, two points per dollar for purchases from grocery stores and restaurants and one point per dollar spent elsewhere. The points you rack up on your TrueBlue account don’t expire. Other benefits include one free checked bag, 50% off eligible inflight purchase and the ability to pool and share points with family members. This is great for families of frequent travelers. You also have the ability to enjoy TrueBlue Mosaic benefits for one year after spending $50,000 on your card in a calendar year. Plus, you receive a 5,000-point bonus every year on your account anniversary. Signup Bonus: Cardholders can earn 30,000 bonus points after they spend $1,000 in purchases within the first 90 days of getting the card. Why We Picked it: The Citi AAdvantage Platinum Select World Elite Mastercard offers two points per every dollar spent at gas stations and restaurants as well as on American Airlines purchases and one point per dollar spent everywhere else. Cardholders also receive 25% savings on inflight food and beverage purchases Cardholders also receive preferred boarding on American Airline flights and a free checked bag on domestic American Airlines for themselves and up to four companions traveling on the same reservation. Cardholders can also earn a $100 American Airlines flight discount after spending $20,000 on purchases during the year as a cardholder and they renew the card. Signup Bonus: Cardholders earn 50,000 bonus miles after they spend $2,500 within the first three months. Why We Picked it: The Chase Sapphire Preferred (see full review) offers two points per dollar spent on travel, including trains, airfare, cabs and hotels. It also offers two points per dollar spent on dining and one point per dollar on purchases made everywhere else. These points can be redeemed as statement credits or transferred to a number of partnering frequent flier and hotel loyalty programs, including United MileagePlus, Southwest Rapid Rewards and Marriott Rewards, at a one-to-one value. There are also other perks, like trip cancellation/interruption insurance up to $10,000 and primary auto rental collision damage coverage. Signup Bonus: Cardholders can earn 60,000 bonus points if they spend $4,000 in their first three months — a bonus worth $750 if you redeem those points through Chase’s travel portal. Why We Picked it: Another solid general-purpose miles credit card, the Venture Rewards credit card (see full review) offers 2X miles per dollar spent on every purchase. Plus earn 10X miles on thousands of hotels, through January 2020; learn more at hotels.com/venture, which is a higher earning potential than most credit cards. One hundred miles equals $1 in travel rewards and there is no limit on how many miles you can earn. These rewards do not expire. Cardholders also receive complimentary concierge service, travel protection and room upgrades. As an added bonus, there is extended warranty protection on items purchased with this card. Signup Bonus: Cardholders earn 50,000 bonus miles (equal to $500 in travel) if they spend $3,000 in their first three months from account opening. The Costs: $0 intro for first year; $95 after that and no foreign transaction fees. Why We Picked it: Cardholders earn two miles back per dollar on all purchases, plus 5% miles back when they redeem. Miles can be redeemed for travel or cash-back statement credits and do not expire. There’s also a sweet signup bonus. Other benefits include travel accident and trip cancellation insurance. Paige DiFiore and Jason Steele contributed to this article.This article has been updated. This article was originally published November 23, 2016. At publishing time, the JetBlue Plus card from Barclaycard, Capital One Venture Rewards, Barclaycard Arrival Plus World Elite Mastercard, Discover it Miles, and Chase Sapphire Preferred credit cards are offered through Credit.com product pages, and Credit.com is compensated if our users apply for and ultimately sign up for any of these cards. However, this relationship does not result in any preferential editorial treatment. Jason Steele contributed to this article. It was last updated September 21st, 2017.